Hello everyone. Today is the first day of Read an E-Book Week. How do you feel about e-books? I love the idea of them, and part of me would love to go completely electronic for environmental reasons, because of easier transportation and storage, etc. But I'm still very much attached to books as physical objects. I'm also still not 100% comfortable reading books on the computer (which is my only option for now, as I can't afford an e-reader). But I have this theory that it's a matter of practice. I do, after all, read the equivalent to at least a novella online every week. I tend to think that reading on the computer means reading more slowly, but other than the fact that I can't carry the book with me, I'm not sure if that's true. Little Brother by Cory Doctorow - This is what I'm planing to read. Cory Doctorow licensed his book under a Creative Commons license, which I think is pretty awesome. He explains his reasons here. You can find the book for download in several formats here. Another author who has used the Creative Commons license is Kelly Link. You can download her collections Stranger Things Happen and Magic for Beginners here and here. I downloaded both quite some time ago. Why I haven't read them yet is a mystery, considering how much I loved the Kelly Link stories I've read in anthologies. Maybe I should make this "Read Nothing But E-Books Week". Random House has made several fantasy and sci-fi e-books available for free download. You can find them here. As Renay pointed out, this is actually a strategy to get us hooked on these series so that we buy the rest of the books. And it's probably going to work. I was very happy to see a book by Tim Pratt on the list. I love his short stories, and I have been meaning to read one of his novels for ages. Via Jessi: Jim Munroe has made his comic Therefore Repent! available for free download. I'm not normally too drawn to Rapture stories, but the blurbs by Jeff VanderMeer and Junot Díaz convinced me to give this a try. Drollerie Press is going to have two different e-books available for free download every day. The download links will always be posted at different times, so keep an eye on their website. I'm currently reading Sorrow by John Lawson, which they will be publishing on the 11th. It's an excellent book so far - more on that later this week. Lots of classics available at Project Gutenberg, Daily Lit, The Literature Network or The University of Adelaide Library (I'm a big fan of their clean-looking formatting), among others. Surlalune's excellent collection of e-books is always worth mentioning. More suggestions here. I'm particularly glad that Tor will be participating. I can't wait to see what they'll make available. Joe Hill has declared March Love Your-Small-Bookstore-Month. After reading The Yellow-Lighted Bookstore, I'm very much in the mood to show local independent bookstores some love. I've been known to complain about the lack of decent bookstores in my town, but there's actually one that I like a lot. It's small, yes, but it has a decent comics section, and it carries imported books I wouldn't normally find here. It also has a lovely little café, plus they've allowed me to leave Bookmooch cards there for people to pick up. (I need to do that again - thanks to Fyrefly I have a new batch.) It's just a really nice place, and before the end of the month I'll drop by and get myself a book. Do you have a local indie bookstore that you love? 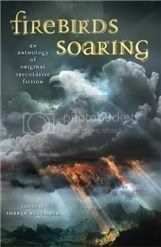 Book of the week (hmm, I wonder if I should make this a regular feature): Firebirds Soaring, an anthology of speculative fiction edited by Sharyn November. I wasn't going to buy any books this week. Really, I wasn't. But the list of contributors includes Jane Yolen, Clare Bell, Margo Lanagan and Christopher Barzak. Resistance is futile. Especially now that I've been educated about why buying new books matters. My bank account may not be happy, but I am! Bookmark sets: #42 Wordlily, #51 Melissa, and #112 Kristin. Congratulations! I'll get in touch with you all for your mailing addresses. Thanks to everyone who participated, and special thanks for all the kind words about my homeade bookmarks. You've certainly encouraged me to include more bookmarks in future giveaways. Nymeth, I seemed to have missed your homemade book marks and now I am very intrigued! Where are they hidden? We don't have any small independent book stores by us anymore. Only big chain ones - likee Waterstones which I love. Thank you for all the ebooks links. I will have to work my way through these. I am on the fence about ebooks. I like the idea of having an ireader for holidays, so that I can cram more books into my suitcase, but I am not sure about reading them alone. I love the feel and smell of a new book too much, which I know really is not healthy for the environment. I just found your bookmarks and thought they were lovely! I wonder how I missed that giveaway. Do keep making them, they are fabulous. I will make mine using scrapbooking stuff, but I may need to laminate them to keep them from falling to bits! I really enjoyed reading what Cory Doctorow had to say about why he offered up his book as an ebook. Stuff I never would have thought about. You know, I still have this huge mental block about e-books. In my mind, I think they're totally wonderful, especially for environmental reasons. But in reality, I just can't seem to make that leap. Yes, I do love the feel of curling up with a book. But it's more than that...I just can't seem to get anything done on the computer quickly. It can take me a whole day to write a blog post or an hour just to read someone else's post and comment. Because I'm always in the middle of doing 20 other things and am interrupted on nearly a minutely basis by someone needing something. So the idea of trying to read a book on the computer just doesn't hold a lot of appeal. But then again, when I think about it logically, I have the exact same problems reading any book. I'm still interrupted constantly, still trying to fit my reading in in minutes stolen here and there. But I guess one difference is that I can carry around a book with me and read it while I stir the spaghetti sauce or while sit on the porch waiting for the bus to show up or while I'm waiting for the computer to spit out the test I just made. So anyway, after all that babbling, I guess it boils down to liking the idea in theory, but resisting to actually give it a go in practice. I've been resisting e-books, not that I knew that many good ones were available! I have to go look at the Kelly Link ones. I have one of hers, but I can't remember which...or I've been picking them up and putting them down for a later purchase - anyway, I WILL try reading an e-book now, thanks to your post! I like the environmental aspect, but I'm like Debi, I don't think of it as viable because I can't carry my computer with me everywhere! I love her stolen minutes, which is often how I read, too. I didn't know that about Cory Doctorow. My son recently read Little Brother and enjoyed it. Apparently he could understand it even as an 8 year old, which is good. I was a little worried it would be above him. My husband tells me he publishes ALL his books under the creative commons license. That's really interesting. I to read a certain amount of books as e-books. I do not like it as much as reaading a real book. I am certain it is the book of the future so. Thank-you so much for the downloads, I am going to check them all out. Hi Nymeth! Oh, ebook reading week! Lovely! I'm quite used to reading ebooks now. Well technically I download the file mostly from Project Gutenberg for the classics and TOR also allows downloads of science fiction books. There are lots of free downloadable ebooks from legitimate sources that at times I find it hard to keep track of them! Oh well! Little Brother is a book I have listed for my YA challenge but thanks to your great link I'm going to download it tomorrow and read that for the e-book week too! His thoughts on free downloads was really pretty interesting and I enjoyed it...thanks!! Firebirds Soaring sounds fantastic..Jane Yolen is one of my absolute favorite YA authors!! Love her and after now being introduced to Barzak by you, I'm even more excited about reading this anthology. Wow!! I won!! I'm ecstatic! P.S. I love how you wrote...My bank account may not be happy, but I am!! My account was saying that yesterday as I was being very naughty and bought Q&A, the book that Slumdog Millionaire was based on. My son and I saw the movie yesterday and we were blown away..so of course I had to buy the book!! I don't read e-books. Several of my classes are online and I always have the need to print out whatever it is I need to read. There's only two small bookstores in my town, but there is a great used bookstore. I think I'm going to visit it this month. Firebirds Soaring sounds like a great book! I can't wait to read your review. I'm with you on the e-reader. I would love to have one (I am a gadget freak) but can't afford one. I have 2 e-books that I haven't read because I'm just not interested in sitting in front of the computer to read a book. The very fact that so many of us, as fairly wealthy Westerners can't afford e-readers says everything about how I feel about them. I'm not opposed to them in theory, but their cost bothers me, the constant DRM and format issues aren't yet resolved, and I'm still not 100% sure they don't use conflict coltan which makes them potentially problematic for my social justice leanings! I'm still undecided about the e-reader thing. My mother-in-law has a Kindle and she LOVES it. I've also noticed that a lot of editors and agents seem to be using e-readers...I'm not sure what difference that makes, but thought I'd mention it! I am going to look at Kelly Link's stuff right now. Jedediah Berry (The Manual of Detection) mentions her in his acknowledgments, and if she was any influence on his, I have *got* to read her. I am open to reading ebooks but can't seem to connect when I do. I tried reading dailylit and gutenberg, I can't finish. I don't know what it is but I think I shall be more inclined with an ereader than the pc. Like N Vasillis I need to read in print on paper. I'd like to try some more though..
PS. The links you posted are wonderful. I also love Doctorow's reasons for giving out ebooks. "Getting more people in the tent than making sure everyone in the tent has a ticket." Wisdom. On my post re: Maugham's The Trembling of a Leaf I also posted links to ebooks for that title. Maybe I will check out an ebook soon, maybe I won't.. But thank you for opening up this topic. I'm not sure about e-books either. I have noticed, though, that more publishers are using sustainable forests for printing, so that mitigates some of my guilt. I would love to support my local independent bookstore _ but I don't have one. Cool!! I had no idea that Little Brother was available for free right now! I've been wanting to read that. That little bookstore you have sounds wonderful :D If I ever come visit we'll have to go ;) Don't hold your breath though...I'm broke, lol. Congrats to all of the winners!!! I like the idea as well, but am not so much a fan of the reality. I'm trying to read The Scarlet Pimpernel on my computer and am not sure if it's the book or the electronic version that is giving me trouble! Oh, and I also dig those bookmarks. I didn't know that Doctorow had licensed Little Brother under CC! I've read several of Link's stories and others this way including Edwin A. Abbott's Flatland! Project Gutenberg is a great site for classic Ebooks. My one experience with an e-book ended up with me printing it out so I could read it. I do think that if I had an e-reader, it would make things much easier. I'm in no way opposed to e-books, but I have so many actual paper books that investing in an e-reader just doesn't seem practical at this time, especially with how expensive they are and as quickly as technology advances. My favorite independent bookstore is too far away for regular visits. I maybe be able to this coming Saturday, however, since hubby and I will be Hollywood for a musical. We'll see . . .
Congratulations to all the winners in your giveaways! The concept of an e-book is definitely cool, however for me, loving the physical aspect of books, it feels like a blasphemy to me! haha. Also, thank you for entering our book giveaway!! The results will be posted tomorrow (Monday). I love the cover of Firebirds Soaring, and to top it off there're some great authors there so I definitely have to look out for this! Thanks, Nymeth! Finally, congrats to all the winners! Oooooh... this is exciting! Coincidentally, I've just blogged about an ebook I received from author Chris Tusa for his debut novel, Dirty Little Angels. I've also blogged about Kelly Link's ebook a while ago. Funnily enough I read an ebook over the weekend on my Sony eReader. I read The Shadow Queen by Anne Bishop and loved it. It's great reading it in bed under the covers with the little light on and I couldn't put the book down ( I love anything Black Jewels related). I will get the paperback when it comes out in a year, but I couldn't wait that long to read it! I was sceptical at first about eReaders as reading for too long on a pc gives me a headache. As it is not backlit though it really seems to be making a difference and is my second read (first I read The Graveyard Book). I hope to use it more in the future. I love bookshops that have decent cafes. The Books Etc in my town sadly closed down which made the best hot choclates around and Waterstones doesn't have a cafe. Must go on the look out for independent shops in my area. I ran across Firebirds Soaring on LibraryThing last week, and I don't think I have ever wanted a book more solely based on its cover! I love the idea of e-books too. I still love holding an actual, physical book in my hands but recently I've started lusting after an e-reader. But as you know, the Kindle's not available outside the US, and the Sony eReader is just as expensive. Maybe some day. I do most of my reading in bed and don't want to cart my laptop around with me so if I ever read an e-book, I print it out, which probably negates any environmental benefit. lol. ooh, how exciting. thanks for sharing all these links, am off to download little brother! Scrap girl: I'm sorry that you missed the giveaway! But I promise to have more in the future. My second blogging anniversary is in a couple of weeks :P I'm on the fence about ebooks myself, I guess, but I want to give them a try. Susan: Having a reader would make thinks easier, wouldn't it? But the prices are really prohibitive. Maybe in a couple of years. Amanda: It is! I love how he says that obscurity is more dangerous than piracy. I remember Neil Gaiman saying the exact same. Staci: I was happy to see that comment #28 was yours :D I really think you'll like Peter Beagle. I still haven't watched Slumdog, but I want to, as well as read the book, of course. Vasilly: I don't like reading things for class online because I always have the need to underline main points, write notes on the side, etc. I always feel bad to use all that paper, but when it's for class I have to print it too. I hope you have a great week too! Jessi: I really think I'll love Little Brother! And yes, this is the week! bermudaonion: I don't so much mind reading on the computer..I just don't like that I don't get to carry the book with me wherever I go. Amy: Exactly...the prices are just crazy. But that tends to happen with new technologies...it's good to give them a year or two, both for the prices to go down and for the technology to improve. I still remember when mp3 players were new and really expensive. Priscilla: I bet that if I could have a Kindle I'd love it too :P But it still wouldn't replace physical books. Maybe it doesn't have to be either/or. I've only read a handful of Kelly Link stories, but they were all amazing! Chris: That bookstore is one of the first places where I take people who come visit. I forgot to describe the building itself: they refurbished an old house in the city centre, and it's all stone and wood, with a little backyard where they set tables in the summer and spring...lovely! You can see a few pictures on their website here. Pardon My French: Thanks! I hate not knowing if it's a book or the format I dislike. So frustrating. Gavin: Yes, Gutenberg is great! It was the first e-books resource I discovered. Literary Feline: An e-reader would definitely make things much easier. But it will be years before I get one for sure. I hope you have a great week too, Wendy! Padfoot and Prongs: Thank you :D I know what you mean about it feeling like a blasphemy...but maybe e-books and physical books can exist side by side. Rhinoa: Oooh, you read The Shadow Queen! Me wants. I still haven't read Tangled Webs, though...it should be coming out in paperback soon, so I'll have to get it. I bet having an e-reader makes a big difference. I'm glad your experience with yours has been positive so far! Fyrefly: I love the cover too. And the two previous Firebird anthologies also look great. Don't know how I missed them. tanabata: Yeah, there's definitely still a gap between the idea and the reality for a lot of us. But maybe some day, like you said. I have read one of the other Firebirds anthologies and I really liked it! Good purchase, even if I haven't read that one. I read and enjoyed Little Brother (checked it out from the library) and now I am going to read what he wrote at the link you provided. Oh, e-books! I read them here and there, but I find that I have trouble settling down with them. I'm like you: I like to carry my current read everywhere with me, and it just isn't possible for me to haul my computer around. I think I'll probably start reading more of them once e-book readers go down in price, though. There are tons of freebies available online now, through Creative Commons and publisher promotions, and I've had a great time poking through them all. Call me old fashioned butI just can't do the e-reader thing and I really can't read on the computer. It is just too painful. I am hearing great things about the Amazon Kindle e-reader, but in my mind nothing can replace a real book-not to mention the possible loss of bookstores! One of my secret pleasures is wandering and browsing through a bookstore. I wish we had more little indie shops around here, but there just isn't! If I have to carry something around I still prefer to have a book with me rather than a reader... But I've been reading online from time to time and now like it - thanks for all the ebook suggestions! I think you put it best when you said you like the 'idea' of e-books. I guess that is pretty much how I feel, as well. I've tried to read several books through Daily Lit, unsuccessfully. I haven't even really had any luck with audio books. But I am fascinated with DailyLit, they are great. I love the idea to having a book delivered to my email box. 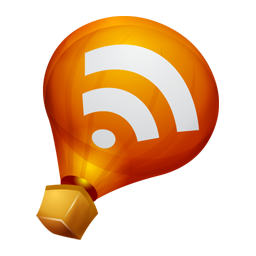 Thanks for pointing to the Cory Doctorow links! I've been wanting to read this book and didn't know it was freely available online. Lenore: I finished Little Brother today...excellent book! Memory: Reading an e-book is definitely slower for me than reading a paper book, but I've read two this week and enjoyed the experience more than I thought I would. Of course, I had a paper book I was reading and carrying with me at the same time :P But yeah, the day e-readers become affordable things will be different. Kim: The problem with lots of hours on the computer is that it kills my back :( The loss of bookstores is one the main reasons why I resist the idea of going digital so much...a store of e-books would just not be the same! Joanna: I guess it doesn't have to be either/or. E-books are a nice addition to our reading possibilities. Bellezza: I love the smell of new books too. It's true; nothing can replace that. And the current prices of e-readers are just nuts! Lisa: For me Daily Lit works better with poems or short stories. With novels not so much. Naida: It's neat, isn't it? I like how they give you the option of having the next instalment sent immediately.